With three spectacular ski areas in the region, an abundance of cross country ski options and fabulous scenery, Cody is a truly amazing place to spend your ski vacation. With three stunning ski resorts in the area, Cody is world-class for skiing and caters for the beginner all the way through to advanced skiers plus those looking to hit the rails. With beautiful scenery and every amenity possible Cody is an absolute must for skiers. Red Lodge Mountain is known for having many of the amenities of a world class resort with the laid back atmosphere more common in smaller resorts. Boasting a wide range of trails for differing abilities, a 250 inch average snowfall and a terrain park, Red Lodge provides exceptional skiing. Location: The Red Lodge Mountain is located 60 miles outside of Cody near the Town of Red Lodge. Season: Seasons usually run from late November to mid April from 9.00am to 3.30pm daily (extended to 4.00pm for the lower mountain). Tickets: Full day tickets are priced at $57-$63 for adults, $44-$49 for juniors and $24-$27 for children. Sleeping Giant is known for its ideal skiing temperatures, abundant snowfall and breathtaking scenery. Visit the heated day lodge, complete with a crackling fireplace. Location: Ski Sleeping Giant is located 50 miles west of Cody. Season: Seasons usually run from November until April. Tickets: Full day passes start from $38. Contact on 307-587-3125. 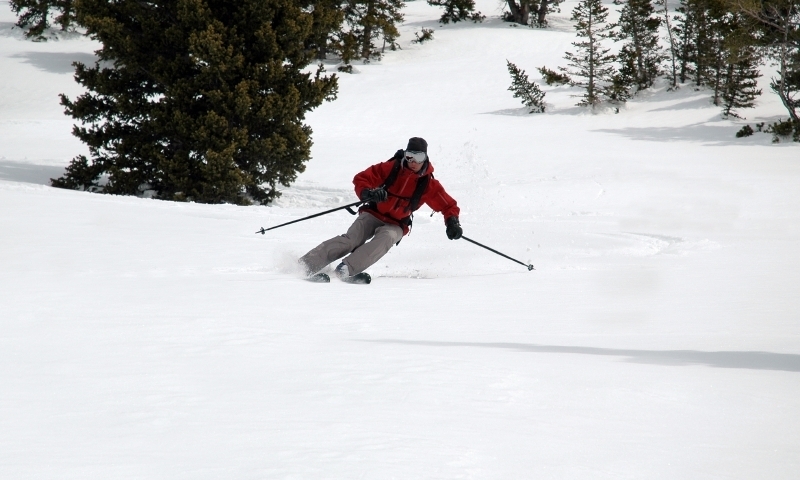 Planning and booking information for Jackson, Wyoming ski vacations. Bios, competitions, and events for the US Snowboarding Team. Join the US Ski Association if you are a competitive racer for all sorts of skiing information and deals. The Pacific Northwest Ski Areas Association promotes and regulates the interests of ski area (downhill, nordic, heli) owners or operators in Alaska, Idaho, Montana, Oregon, and Washington.